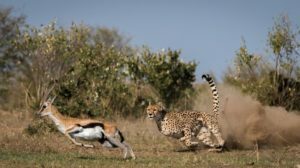 Our 4 days Tanzania safari takes you to three of the most well-known reserves on Tanzania’s “northern circuit” for a wildlife safari Tanzania and a birding safari Tanzania. Your 4 days will take you to Lake Manyara National Park, the Ngorongoro Crater and the Serengeti National Park. While on this safari in Tanzania, you will see diverse landscapes and a crater full of animals. Our 4 days Tanzania tour is tailored to have something for everyone and is ideal for those with limited time. After your early morning game drive in the park at your hotel or place of stay, you will meet and greet with your safari guide, have a short briefing about your 4 days Lake Manyara, Serengeti & Ngoronoro wildlife safari Tanzania. After a short briefing in the morning, you will pack your bags in your safari vehicle and set off to Lake Manyara National Park. Lake Manyara is a small park that stretches along the 600 m high Rift Valley Escarpment and is dominated by the alkaline Lake Manyara. Lake Manyara has very many water birds that gather at the lake and more than 400 bird species are found in the park. Upon arrival in the park, you will do a simple game drive in the park. Lake Manyara has diverse vegetation that provides a habitat for the wild game including monkeys in the forest, giraffes and antelopes on the grasslands and elephants around the acacia trees. If you are very lucky you might also see the Manyara lions, lounging in the trees. After your game drive, you swill leave the Lake Manyara National Park and head to the Lodge, where you will spend the night. Arrive at the lodge, check in dine and rest. Wake up early in the morning, have breakfast at your lodge or hotel and after drive towards the fertile crater highlands where characterized of wheat, corn and coffee. You will have beautiful views of a good country side as you pass through the Ngorongoro Crater before you reaching the plains of the Serengeti National Park around midday. Serengeti National Park is the largest park in Tanzania characterized with a diversity of habitats and landscapes including short grass plains, savannah, thick bush, swamps, mountains and lakes. Depending on the season you will witness the migration of thousands of animals for which this park is famous for. During the short rainy season in November and December the herds move from the hills in the north to the plains in the south. During the longer rainy season from April to June they return up north. This circle of life is completely dependent on the yearly rainfalls and the locations of the herds may vary from year to year but your guide will know where to find the animals and where to see them best. You will spend at your booked lodge as well as have dinner there. The best time to view animals is very early in the morning. This requires you to wake up very early in the morning for your early morning game drive in the park. The game drive lasts about 2-3 hours depending on your interest. After your game drive in the park, you will return to the lodge/hotel/camp for breakfast before heading out for another game drive in the park. During your game drives you will often see wildebeests and zebras in close proximity of lions and other predators such as leopards and cheetahs. You will enjoy a picnic lunch and after continue your journey towards the Ngorongoro Crater. Once you have reached the crater rim you will enjoy fantastic views of this 600 m deep collapsed volcano. Arrive at your lodging facility, check in and rest. After an early breakfast you will drive with your guide through a steep and narrow road that takes you into the crater. Enjoy your game drive in Ngorongoro where you spotting wildlife is just breath-taking. You may with a little luck you can observe the “Big Five” including lion, elephant, buffalo, rhino and leopard in just a few hours. You will also spot warthogs, wildebeests, zebras, hippos. The park also has over 500 bird species making it a very ideal place for bird watching safaris. After a morning dedicated to game viewing and a picnic lunch, you will leave the crater in the early afternoon to drive back to Arusha, where you will arrive in the early evening. You may be driven to the airport or to your hotel of stay.